proudly made in Australia and available to order nationwide. 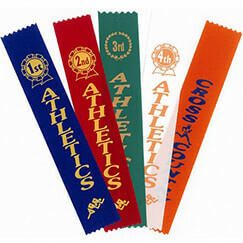 Are you in need of custom or generic Sports and Academic Ribbons or Pennants? We’re your one-stop-shop for schools, sports clubs and community organisations. 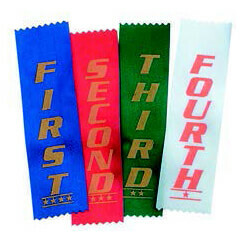 As Melbourne’s biggest manufacturer of sports and academic ribbons, we have been producing sports award products and more for school carnivals, sporting teams, academic and sporting events since the 1970’s. 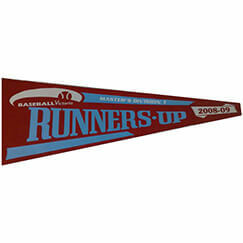 We produce ribbons and custom sports pennants and flags here in Melbourne at a very competitive price. We think keeping this expertise and manufacturing base in Australia is essential to maintaining quality. 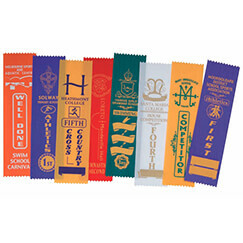 Ask about our custom options featuring your club or school logo! 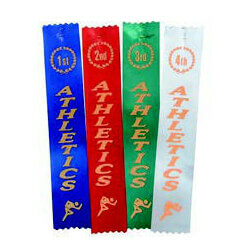 We partner with your educational institution, sports club or community organisation to supply a huge range of pre-printed sports and academic ribbons Australia-wide. 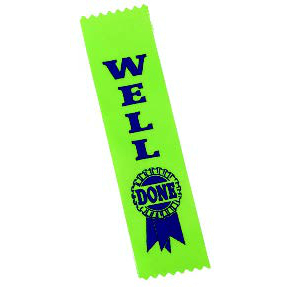 We also have the capabilities to supply custom printed, personalised ribbons featuring your desired message, name, graphic or logo. 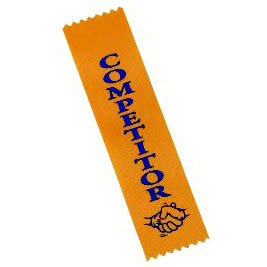 Printed on the highest quality Satin available, with many different colours of both ribbon and ink (including Metallic Gold & Silver) and finished with classic serrated edge. Combine your different sports orders to take advantage of bulk quantity pricing discounts. Allow 2-3 weeks for delivery. Prices for single colour print or enquire with our team about 2+ colour printing options. Size: 47mm x 175mm. We partner with sporting clubs, schools and other community outlets to provide custom printed felt sports flags and pennants. 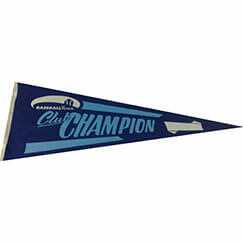 We’ve been producing pennants and bannerettes for competition, carnivals, sports associations, schools and events since the 1970’s. 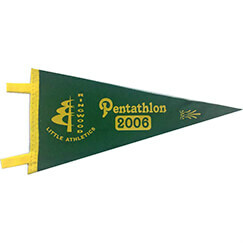 We produce high quality, custom and generic pennants and flags here in Melbourne, at competitive prices. 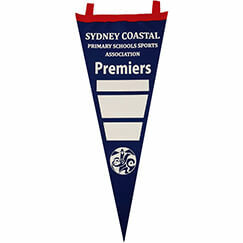 Want a special premiership pennant, or an oversized one to suit a larger space? We can cut and print almost any size you require. Printed on high quality felt matching your teams’ colours, these items are a must to commemorate a champion team. 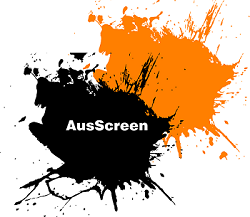 Whatever the need, Ausscreen can supply your educational institution, sports club or community organisation.